CanJS 5.0 is out with the features our users have been asking for. Read on to find out more. Responding to user interactions and updating HTML with components (custom elements). Retrieving and modifying service data with models. Routing url changes to state changes and state changes to url changes with routing. Driven by community feedback, CanJS 5.0 focused primarily on making CanJS easier to use and learn in modern development environments and improving the model layer. Yet, we still managed to improve components, routing and even testing with one new feature. So turn on your terminal, clean off your keyboard, boot up your browser, alt-command-I (⌥ ⌘I ) your console, and get ready for some fun as we walk through the most important improvements in CanJS 5.0! 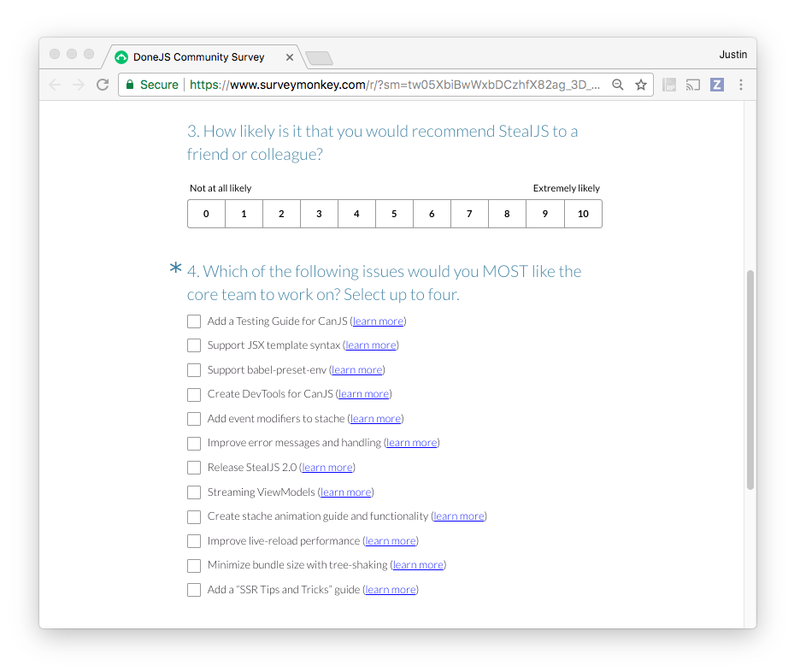 Community Driven Development - 5.0's features were directed by the community through our surveys. We listen to you! Play with CodePen - canjs.com can now create a CodePen from sample code on the site. Our goal is to turn all sample code into an runnable example, making learning easier. There's also a stache plugin that makes it easy to load pre-processed stache templates for faster load times. // A basic RESTful model without automatic list management. // and a memory-safe instance and list store. // This code block is empty because you might not need any configuration! This makes creating dynamic widgets easier. Upgradability - CanJS 5 is an easy upgrade. We made a compatibility module for the most significant breaking change. As the case with 4.0, all of 5.0's features were directed by you, the users of CanJS through our surveys. For 5.0, we finally delivered the most difficult feature requested from the very first survey - make it easier to configure and understand can-set. This resulted in the QueryLogic rewrite. We completed make CanJS tree-shakable from survey #4. And, the ability to create components programmatically was necessary for completing the testing guide and routing guide proposals in survey #5. Thank you for filling out the survey. Your guidance is invaluable! If you are using a module loader that supports tree-shaking (like webpack or StealJS), it will use dead-code elimination to remove the parts of CanJS your app is not using. It's our hope that this new documentation ability will make it much easier to learn CanJS (and also force us to author complete examples). So only the path to CanJS needs to change, which is easy to do when generating the CodePen. 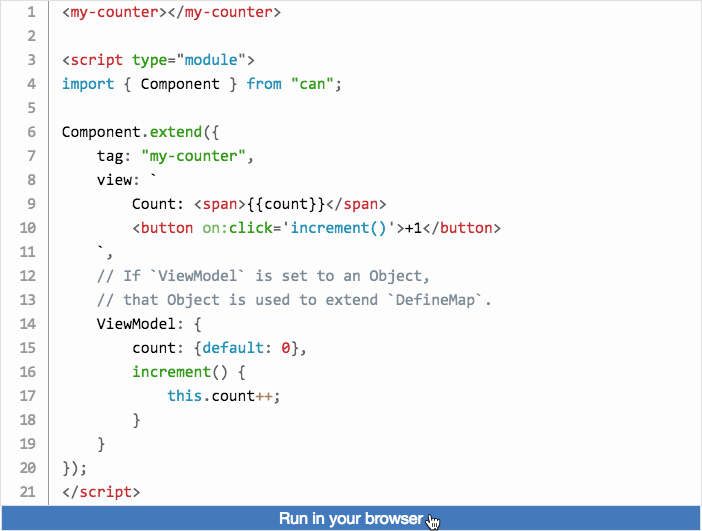 JS modules in the browser for the win! 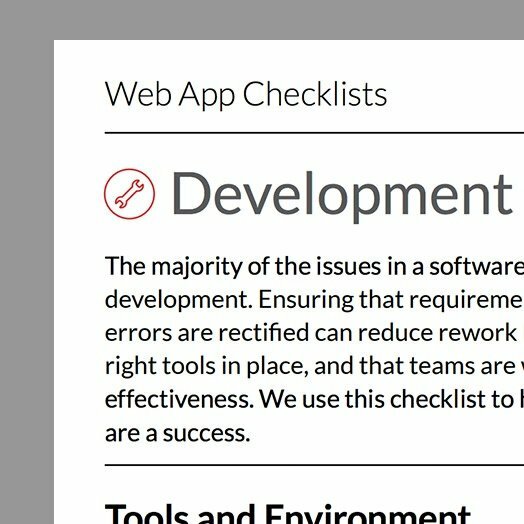 Building to production with webpack will remove all development related debugging features. This reduces the size of your webpack build and makes CanJS run faster! You can now import stache templates using a webpack plugin. In production, the plugin builds a pre-processed version of stache so your application loads faster. Checkout the updated webpack section of the "Setting Up CanJS" guide for how to use these new features. 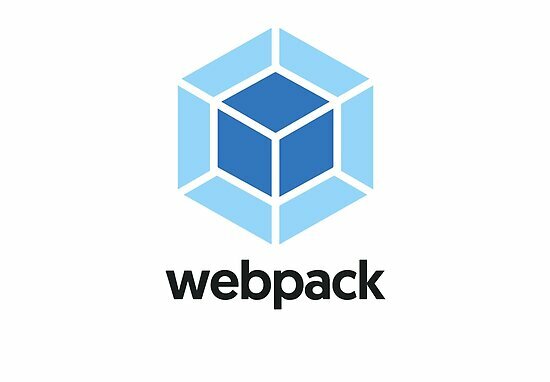 We also added webpack integration tests to our test suite to help keep webpack builds stable. restModel - For basic create, read, update, and delete (CRUD) operations on a REST service. realtimeRestModel - Adds automatic list management to restModel. When items are created, updated, or deleted, realtimeRestModel will automatically insert, move, or remove items in lists based on the queries used to request the list. realtimeRestModel is crazy helpful even if you aren't using server side events (or Websockets). superModel - Adds the kitchen sink to realtimeRestModel, including: fall-through localStorage caching, request consolidation, and reference types. // `id` values must be unique. // A helper method to complete every todo in the list. // data at the url provided. Retrieve an `Todo.List` from the server. Retrieve a single todo from the server. Create a todo by POSTing its data to the server. Update a todo by PUTing its data to the server. Destroy a todo by DELETing its data on the server. 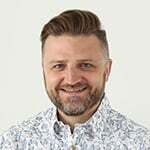 While restModel is great for simple CRUD behavior, it doesn't include automatic list management, CanJS's best and most original data-modeling feature. For that, you'll want to use realtimeRestModel and need a properly configured QueryLogic. Fortunately, QueryLogic got a big upgrade that we'll explore in the next section. We rewrote the can-set library that provided CanJS with automatic list management and several other advanced modeling features. We replaced can-set with the more powerful and easier to configure can-query-logic. The following goes over what can-query-logic does and then shows off several of can-query-logic's improvements from can-set. can-query-logic (and can-set before it) provide an understanding of what the parameters used to retrieve a list of data represent. This awareness helps other libraries like can-connect and can-fixture provide automatic list management, caching and other unique behaviors. can-query-logic is easier to configure and more powerful than can-set. // 1. Defining an observable type. // 2. Configuring a set.Algebra. // 3. Configuring a connection. 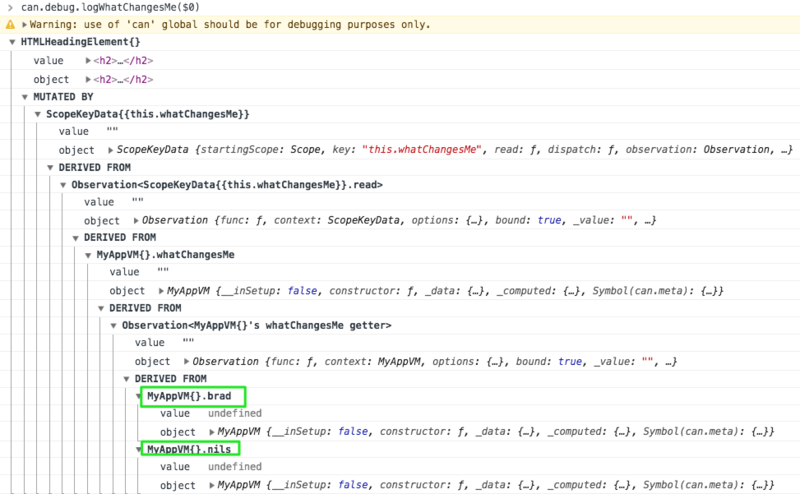 We've skipped step #2 by taking the QueryLogic configuration from the Todo type. Taking the configuration from the type means that if your server supports the default query format, you likely don't have to configure a QueryLogic anymore. // Selects only the todos that match. a page property that selects a range of the sorted result. Finally, defining special filtering behavior, while not easy, is much easier to understand than defining special behavior with can-set and it is much better documented. // what's not GreaterThan Justin and LessThan Payal? the number of milliseconds since January 1, 1970, 00:00:00 UTC (example: 1531839500000). Not only can you instantiate the viewModel with static values, you can also instantiate it with bindings to other observables. This is done with a new addition to CanJS - can-value. can-value replaces can-compute as an easy way to create single value observables. These observables can be put on the viewModel object and be used to create parent-to-child, child-to-parent or two-way bindings. This technique will be part of our upcoming testing guide. Component instances make creating dynamic widgets easier. Dynamic widgets are components that conditionally render one or several other components. See the Pen Can5 - Dynamic Components by Justin Meyer (@justinbmeyer) on CodePen. See the Pen CanJS 5.0 - Multiple Modals - Final by Justin Meyer (@justinbmeyer) on CodePen. Read the Multiple Modals guide if you'd like to learn how to build this example step by step. The most common need for dynamically rendering components is routing. The following shows progressively loading and displaying either the HelloWorld or GoodnightMoon component depending on the URL. See the Pen Can5 - Progressive Loading by Justin Meyer (@justinbmeyer) on CodePen. If you are using CanJS 4, CanJS 5 is easy to upgrade to. The only significant breaking change is the replacement of can-set with can-query-logic. Fortunately, we created can-set-legacy that is backwards compatible with almost all of can-set's APIs. We've detailed all the other necessary steps in the 5.0 migration guide. As for a 6.0, we have no immediate plans to create one. Similar to 5.0, an underlying bug or architectural change is the most likely reason to make breaking changes. We will try to make releases as quickly as possible, making upgrades easier. Finally, a huge thanks to everyone who made CanJS 5.0 possible. CanJS developers around the world building some of the most high-profile, high-performance, and amazing pieces of software on the web. Contributors big and small to CanJS. Every bug report, feature request, and documentation fix makes CanJS better. Bitovi and its team for helping other companies build quality applications and investing its resources back into open-source development that benefits everyone.